Looks like you have a problem with doors or windows, but the good news is, we can fix it right, and fix it quick and with no call out fee, we also work on a fixed fee basis, which is agreed, so no nasty surprises! The Window Wizard is a double glazing repair specialist, City & Guilds qualified with over 25 years experience. If you have a problem with your double glazing doors windows etc, draughty window to a broken door lock, we can repair it for you. We are a Double Glazing Locksmith Service providing a range of repair services for UPVC / Composite double glazed locks throughout the Bexley area. Customers sometimes think that double glazed locking mechanisms are ‘maintenance free’ and that they do not require any adjustments or lubrication etc. However they can suffer from various problems which will periodically require attention in order for the lock to function correctly. The locks can seize over time causing them to become difficult to open and close, and making the locking mechanism difficult to operate fully. They can also occasionally require adjustments to allow for wear or damage, An early indication could be if the handles become stiff or difficult to operate. A repair for this problem does not usually require any parts therefore, is often inexpensive, and can save a considerable amount of money in the long term. We can also replace damaged or broken locking systems for your UPVC or composite door. Window Wizard is your local UPVC repair doctor providing a UPVC repair service and have done for over 25 years. a City and Guilds qualified UPVC repair wizard, UPVC repairman, UPVC window doctor offering the highest possible quality of double glazed window repair service, he is a UPVC window repairman a UPVC wizard a UPVC locksmith like no other. As we do not provide a sales replacement double glazing service, we will not turn up and try to sell you double glazing or a door, we are a 100% repair only service. Double glazing repairs is what we do at the Window Wizard, all we do is Double glazing repair, we are a double glazing doctor offering a 100% Double glazing repair service with the exception of glass repairs. We offer Double glazing window repair, Double glazing door repair, Double glazing lock repair in the areas around Bexleyheath as listed below. 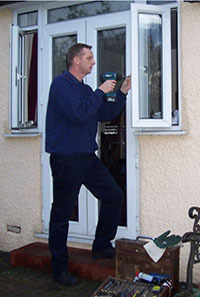 David is a double glazing locksmith, also known as a Window and Door Doctor we are regularly carrying out a double glazing lock and hinge repair in the guise of the double glazing window doctor. Window wizard is a double glazing repair specialist, a Double glazing repairman and is often called on for double glazing handle repair, double glazing mechanism repair, he is known as the double glazing door doctor. Are you looking to find the best Local double glazing repairman? A tradesman able to provide a local double glazing repair service, carrying out Local double glazing repairs to windows doors and conservatories in UPVC? Repairs such as a double glazing lock repair you need a double glazing lock repairman call the double glazing lock doctor, the double glazing lock wizard, the double glazing repairman. 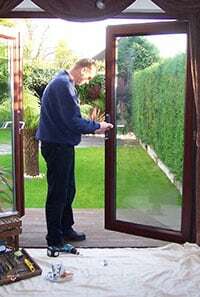 When it comes to locks we provide a guaranteed lock repair service as we are a 100% genuine double glazing lock repair company able to handle UPVC lock repair our lock repairman & UPVC lock doctor, UPVC lock wizard, UPVC lock repair service local to the Bexleyheath and areas mentioned below, we are a double glazed lock repair company. A Multi lock is also known as a multi point locking system, and can be especially tricky for a novice. Thankfully we have many many years of experience handling this type of repair, and carry spares to allow us to quickly get your lock back in operation. Multi lock repairs, are a regular job for our local multi lock repairman David is the multi lock doctor, the multi lock wizard, offering a multi lock repair service from Window Wizard the multi lock repair company. Abbey Wood, Albany Park, Barnehurst, Bean, Bexley, Bexleyheath, Belvedere, Blackfen, Bluewater, Bursted Wood, Crayford, Crockenhill, Darenth, Dartford, Eltham, Erith, Falconwood, Foots Cray, Greenhithe, Hawley, Hextable, Horton Kirby, Kidbrooke, Mottingham, New Eltham, Northumberland Heath, Sidcup, Slade Green, Stone, Sutton at Hone, Swanley, Swanscombe, Thamesmead, Welling, Wilmington. This function has been disabled for The Window Wizard Double Glazing UPVC Repairs.